March 10, 2014 (San Clemente, CA) – The Sheckler Foundation has announced its top four finalists within the 2014 “Be the Change” initiative. Ryan Sheckler’s “Be the Change” initiative was created to help injured action sports athletes and kids in need. 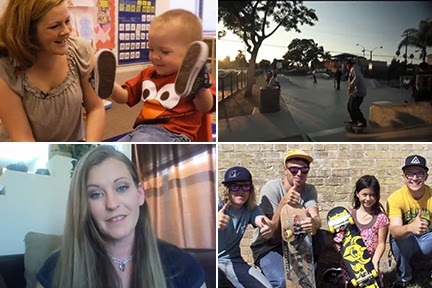 From the submissions made to “Be the Change,” four lucky finalists have been chosen and placed on the Sheckler Foundation’s site to raise greater awareness for their individual causes. The finalist that receives the most votes by Monday, March 17, 2014 will receive support from the Sheckler Foundation, which includes funding up to $10,000 to make their project a reality. •To Autism with Love (TAWL) – Providing care packages for less fortunate families who have children on the autism spectrum. •Complete the “On the Grind” Documentary – A powerful documentary in bringing light to skaters who use skateboarding to elevate themselves from poverty. •Equipment for “Skate Club” for Kids – “Skate Club” of the Boys & Girls Club in Sheboygan, WI are working to raise funds to grant kids skateboarding gear. •Peach’s Neet Feet – Custom hand-painted shoes are made for kids fighting through serious illnesses. Having helped numerous different causes and individuals over the years, the Sheckler Foundation is on a mission to empower people to “Be the Change.” To view the videos online, learn more about each of the finalists and for additional information, visit shecklerfoundation.org. Voting ends on Monday, March 17, 2014 and the winner will be announced on the following day, March 18, 2014. For additional info on The Sheckler Foundation, stay tuned to, facebook.com/shecklerfoundation and follow @ShecklerFoundation on Twitter, LinkedIn and Instagram.